A hawk lifts from the pines and flies toward me across the lake. It lands on the grassy slope next to where I’m sitting on a blanket. The hawk grows in size, becoming bigger than I am. Its eye dominates my field of vision. and in answer it flies away, back toward the pines. the hawk dissolves into the sunlight. 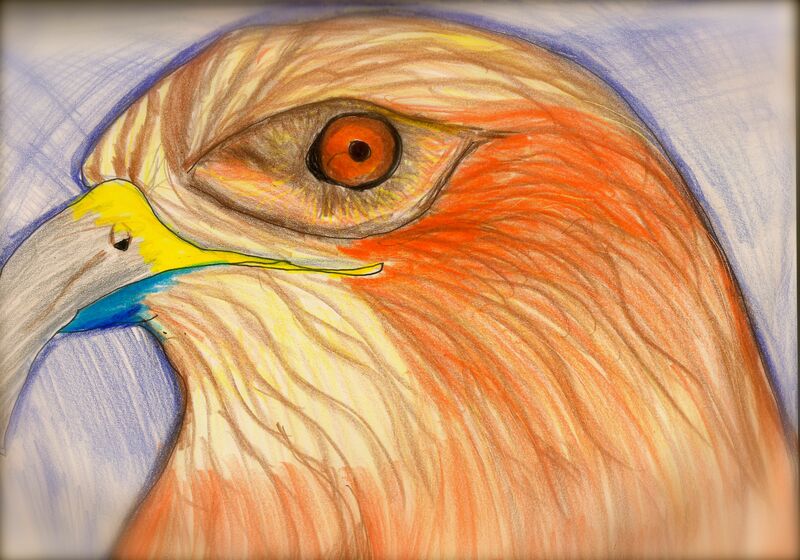 My drawing of the hawk from my visualization. Day four, five-minute mindful writing, a small stone for Writing Our Way Home.